Love gin? Love Irish whiskey? 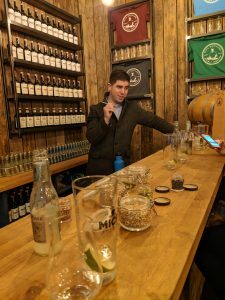 Then you should join one of the Micil Distillery tours in Galway. 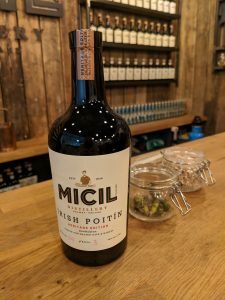 Micil Distillery is a family-run microbrewery in Galway producing gin, whiskey and poitin. It is located at Oslo Bar in Salthill, Galway. The tour leader is Pádraic Ó Griallais, a former teacher who is extremely knowledgeable about history. During the tour you get to sample different types of spirits, which you can drink neat and with mixers. The things you learn during a distillery tour: while gin, whiskey and poitin have a lot in common, each spirit has its own characteristics. On the tour you get to learn many interesting facts about the distillation process and the different types of products you can get from it. The term ‘gin’ stems from the Latin ‘juniperus’ and the French ‘genièvre’ which means juniper. 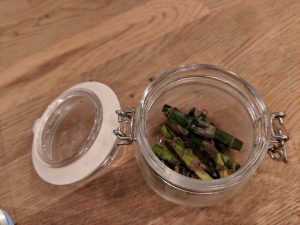 Gin has a more complex flavour profile compared to whiskey. Bogbean is an aquatic plant found in ponds (hence the origin of the name). Interestingly, this plant is the only species in its genus and it belongs to the Menyanthaceae family. According to WebMd, bogbean contains chemicals that aid digestion and is used in medicine for rheumatism. Whiskey is the oldest distilled drink in Europe: when monks learned about distilling techniques from Persia to make perfumes they introduced them to other countries around the year 1000 AD. Ireland first started distilling whiskey in the 1400s. By the way, it’s whiskey in Ireland and whisky outside of Ireland – a small but significant differentiation. The main ingredients to make whiskey are malted oats and barley which are fermented and then distilled. The key process that makes whiskey unique is the ageing in barrels. Whiskey ages for three years. Malting means sprouting in water to germinate the grains and then to revive the enzymes used in fermentation. Then they are dried using peat which imparts smokiness. The starches break down into simple sugars, which become alcohol with distillation. Poitin is one of the most alcoholic spirits in the world, similar to Moonshine, the underground liquor of the American Prohibition era, at 60-90% alcohol. The origin of the word poitin stems from the small stills where it’s kept: smaller vats were easier for home brewers to hide when taxation on alcohol was introduced by the British in the 1600s. Poitin had to be strong so that it could be stored for a long time without spoiling. Poitin was illegal until 1997 in the Republic of Ireland. Poitin is made with malted barley and you can drink it either neat or in an Old Fashioned. Micil was the first name of the patriarch and now his descendants are keeping the 150-year brewing family tradition alive. It takes more than ten years to train to become an expert brewer. 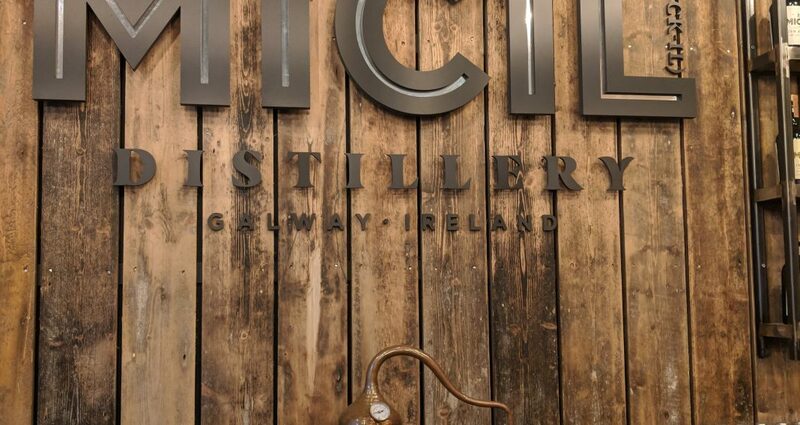 Micil Distillery is the first brewery in Galway to open its doors to the public in 100 years. The distillery tour has five star ratings on Tripadvisor.